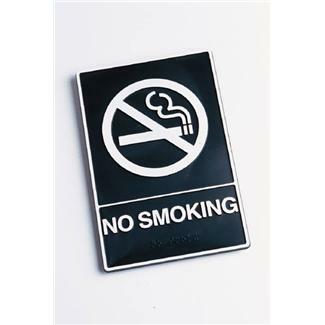 February 2011 marks the passage of a new New York City law that makes smoking illegal in public places such as parks, beaches, and plazas like Times Square. For a country that owes so much of its early economic stability to tobacco, America really hates cigarettes. The last few years have brought a series of legislative attacks on smokers, forwarded in the name of keeping Americans healthy. Many states have outlawed smoking in bars and restaurants, the FDA is considering legislation that would forbid the sale of menthol cigarettes, and the sale of flavored cigarettes have been banned altogether. While cigarette smoking does have significant health risks, the question that remains burned in everyone's mind—forgive the pun—is whether or not the government has the right to tell its subjects what is best for them. This is not a new battle, but rather has been fought throughout America's existence over issues like alcohol consumption and factory conditions. The increasing frequency of banned items seems to indicate that elected officials are choosing to prioritize the health of their citizens. This focus, like any other, comes at a cost: businesses suffer a loss of revenue, consumers miss out on products that might have been enjoyable, and Americans give up more of their liberty in order to be protected. Despite opposition, the motivation behind these bans is perfectly logical, especially for New Yorkers who live in notoriously close proximity to each other and, as a result, find themselves facing significant laws restricting their behavior in the name of the common good. In 2006, New York became the first American city to ban trans-fats, causing many restaurants to have to change their recipes. November 2010 brought with it a ban on caffeinated alcoholic beverages which, consumed in excess, have been known to cause death. A year earlier, in October of 2009, bake sales were banned in all public schools because there was reason to believe that eating too many brownies and mini muffins would make children fat. Government officials in New York City are sending their message out loudly and with increasing frequency—they are willing to outlaw almost anything in an attempt to keep their residents and their children safe, svelte, and alive. But why stop there? It seems that these preemptive bans have still not gone far enough; New Yorkers still find themselves at risk of losing an eye to a mishandled umbrella after just walking out of their building's front door on a rainy day. Street vendors peddling cinnamon churros, giant soft pretzels, and dirty-water hot dogs pose a constant threat to passersby (and their waistlines!) as the tantalizing scents of the vendors' wares overpower them, leaving them little choice but to purchase and consume high-calorie, but low-nutritional value snacks. New York mayor, Michael Bloomberg has yet to respond to these latent threats that compromise the well being of his constituents. However, his vehement support of earlier bans seems to indicate that, if the government has anything to do with it, tomorrow will be a brighter, braver day for New Yorkers—as long as they are not going to mind being told what they can and cannot do.